Holy Family have some busy recycling leprechauns in room 5. 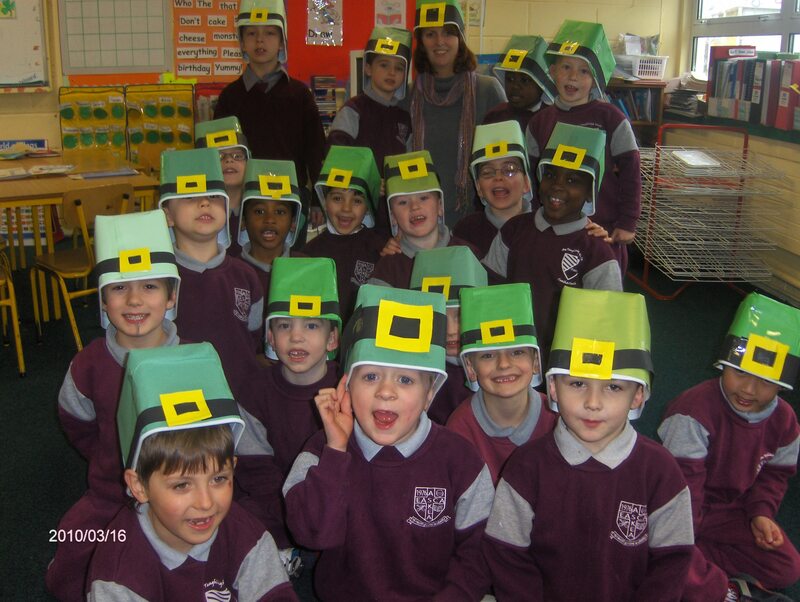 All the “leprechauns” used large plastic cartons to make their own leprechaun hats. Happy St. Patrick’s day from everyone in Holy Family BNS Askea. One Response to Recycling Leprechauns.